Sean Combs was born in Harlem -- a sure-fire credibility boost to any rap artist -- but was transplanted early in life to the suburban neighborhood of Mt. Vernon following the murder of his father. After attending a private Catholic boys school, he moved on to study business administration at Howard University, during which time he also began working as an intern at Uptown Records. His business aptitude served him well in this context and by the age of 19 he had moved up to director of A&R, directing the careers of Uptown artists such as Jodeci and Mary J. Blige. Eventually, his ambition began to work against him, and by 1993 he was fired from the label. After a short period doing remixing, Combs set up his own organization, Bad Boy Entertainment (a name he has since worked hard to live up to). The beginnings of the company were extremely modest, with Combs running everything out of his apartment; but by early 1995 two platinum records were already on the wall and operations were expanding accordingly, with Combs adding singer Faith Evans, the all-female trio Total and the group 112 to the label's roster. This success in his own camp increased his demand as an outside producer, and before long he was taking charge of sessions by Mariah Carey, Aretha Franklin and TLC, to name a few. The positive vibes would suddenly turn evil the following year, however, when a feud between Bad Boy and rival label Death Row Records escalated beyond reason, resulting in the murders of first Death Row's Tupac Shakur and then Bad Boy's Notorious B.I.G. six months later. Allegations of Combs' involvement in the attacks were brought up in an interview with talk show host Roger Mills, later precipitating a suit by Mills against the producer when Combs' representatives forcibly took the interview tape and allegedly assaulted him. By this time, Combs was already well-accustomed to legal battles, having already been involved in paternity and child-support suits with the mother of his second child (among other incidents). In 1997 Combs released his first solo venture No Way Out, featuring a tribute to his murdered friend B.I.G. in the song I'll Be Missing You. Also included on the record was the single Can't Nobody Hold Me Down, which would reach the #1 position on the R&B charts. The album itself would eventually achieve multi-platinum status and win two Grammy awards. 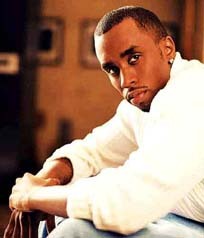 His second album, Forever (1999), failed to match the popularity of the first, but Combs kept himself in the headlines courtesy of both his tumultuous relationship with singer/actress Jennifer Lopez and his remarkable talent for getting into trouble. An assault charge from Interscope executive Steve Stoute served as a mild prelude to a subsequent debacle surrounding a shooting in a New York nightclub, which ended in the apprehension of both Combs and Lopez and charges for weapons possession and bribery being brought against Combs. Following a lively trial/media circus the charges were dropped. The non-musical shenanigans took a toll on the rapper's reputation, who had already been under fire for his immoderate reliance on samples in his music. In 2001 he changed his rap moniker from "Puff Daddy" to "P Diddy" and released P. Diddy & The Bad Boy Family: The Saga Continues. By the release of his next effort, We Invented the Remix (2002), a lot of his credibility (in the music business at least) had been regained. This of course could only mean one thing: an acting career. Appearances in films such as Made and Monster's Ball have taken place, with more on the way. In 2005 Combs altered his stage name again, performing as just plain "Diddy" and explaining (presumably in jest) that "the P was getting between me and my fans". He promptly faced legal action from a British performer who had been using the name Diddy for his entire career, leading to a settlement whereby, for several years, he called himself "Diddy" everywhere in the world except in the United Kingdom, where he was still billed as "P. Diddy". He has also briefly gone by the stage name "Diddy Dirty-Money," and from 2011-14 he asked to be called "Swag," before returning to his 1990s moniker of "Puff Daddy."